Historically, I’ve been a huge fan of Apple. They have a track record of making quality products and articulating a clear corporate philosophy. After being inspired by all the things Steve Jobs did to build his company and change the perspective of the world, I’ve come to believe that, at the moment, the company is taking its eye off the ball. A Band-Aid solution: This case offers a superficial solution to battery life without fixing the core problem. I predict that the rest of the organization is going to blindly move away from high product standards of the past and we are going to see a lot more of such Band-Aid solutions coming from Apple in the future. SKU proliferation: This new product encourages SKU proliferation in a time when every organization agrees that creating too many products is problematic. As soon as Meg Whitman took over the CEO of Hewlett Packard, she tackled SKU proliferation citing the resulting exhaustive, cumbersome, and difficult to manage product line. At Apple, this battery case creates yet another SKU for the Apple supply chain to manage. I’m pretty sure Steve Jobs would not have approved of this “easy fix” that will have huge impact on the back end of the product life cycle. The supply chain machinery will need to accommodate this product by creating new or extending existing supplier relationships needs to accommodate this SKU, which means create or extend supplier relationships, source different components, forecast demand, maintain inventory, and execute a whole slew of manufacturing, distribution, and value added services. Form over function: With this new case, form has overtaken function at the cost of user experience. Admittedly, beauty helps establish an emotional connection with the consumer. When people see Apple products, they want to touch and feel them. Smooth, shiny, polished. Beauty opens the door, but the product still needs to deliver. Once a product delivers on the beauty of the design, you have created a great customer experience that wins in the long run. Beauty without capabilities, though, won’t sustain an organization for the long term. Acknowledgement of the problem: Apple acknowledged the iPhones short battery life by creating a lousy solution. The wrong solution makes customers lose confidence over the leadership team of the vendor. Opportunity cost: Apple designers would have been better served to take the time spent creating the battery case by making the iPhone or another flag ship Apple product better or enhancing the organization’s core competency. Perhaps users would have accepted a slightly thicker, slightly more expensive product that delivered longer battery life. Adding another potentially breakable product on top gives the customer one more potential hassle. Users have reported to me a variety of problem: battery life that remains insufficient, cables that break, and performance glitches. Battery making is not a core competency for Apple: Battery making is not the core competency of Apple, there are plenty of other manufacturers that can do it and are already doing it, it doesn’t make any sense for Apple to venture into this business, when others are doing a good job already. When Apple launched the iPhone, Motorola, HTC, and Samsung released a flurry of competing options. In the end, my wife chose the iPhone, while I opted for the affordability of the HTC option from Taiwan. It had its limitations. The Android platform was primitive, and the keyboard didn’t support alpha characters. On the other hand, the iPhone 4S performed perfectly and without limitation. Eventually, I traded up for a Samsung Galaxy Note, which provided a differentiator from the iPhone with a screen big enough to view videos and delivered higher resolution. Still, I found myself limited. If I opened more than a single browser window at a time, the phone would crash. On my wife’s iPhone, multiple windows performed smoothly. I decided that my next phone would be an iPhone. Right now, I’m still using that iPhone 5, which I’ve been using ever since. 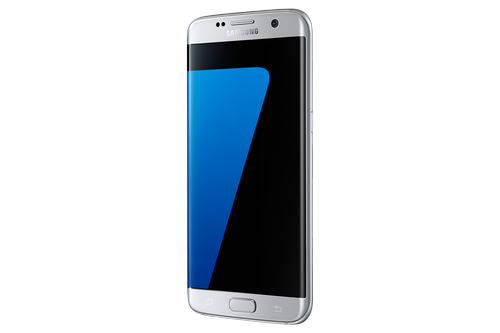 Now, on the cusp of another upgrade, I think the iPhone would be poor choice, especially when compared to the Samsung Galaxy S7. Some people say, ‘Give the customers what they want.’ But that’s not my approach. Our job is to figure out what they’re going to want before they do. I think Henry Ford once said, ‘If I’d asked customers what they wanted, they would have told me, “A faster horse!”‘ People don’t know what they want until you show it to them. That’s why I never rely on market research. Our task is to read things that are not yet on the page. It solves a problem for the customer at the core rather than peripherally. It connects a customer emotionally connect the product, by building in beauty. It makes the user experience so great that it is easy for people to switch to the new product. It does all of this while keeping the total cost of ownership low for a period of time. The other day, when I was at the client site, the number keys on my MacBook stopped working suddenly. I went to the nearest Apple store to get the problem addressed. The technician diagnosed the problem and said that the computer would have to be shipped to the repair center to be fixed. In the meantime, he gave me a Bluetooth keyboard to use for free. I was delighted by the customer service. This technician understood how important the computer was to my professional work and offered me a temporary solution until the problem could be fixed. The keyboard worked flawlessly for several days, connecting immediately upon startup and staying connected. In time, the unit ran out of battery life—and I realized that it was running on a couple of standard AA batteries. That was a smart and simple solution: using a battery that was readily available and affordable. Unfortunately, Apple seems to be getting away from the mindset to create these elegant solutions. Steve Jobs had a clear formula, a step-by-step approach to make a product highly successful. Unfortunately, with his death, that tribal knowledge was lost and my never come back. The company is still searching for its next technology revolution. Apple needs to come up with a system or process to capture customer feedback and prioritize, understand, and address with effective solutions. As I learned while earning my Master of Business Arts, great organizations invite two internal teams to come up with competing solutions. With competition, the teams think innovatively and solve the problem effectively. That’s how Apple developed the first iPhone. One team suggested an iPod-based model with a circular navigation wheel. The other came up with the touch screen we know and love. Without that competition, we might still have the cumbersome wheel. Now, other OEMs are taking a page from that book and innovating in the same way. Maybe, it’s time for Apple to get back to its roots. Apple, be warned, users want a bigger battery and fast wireless charging in the iPhone—that’s the future. Is your company using any of this technology in the supply chain? How is it impacting your organization? Let us know in the comments section below.